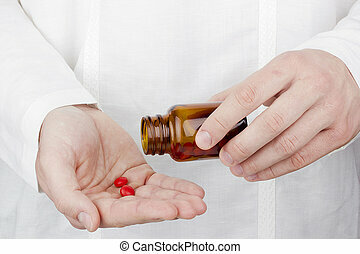 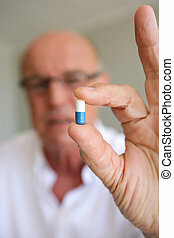 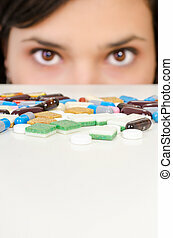 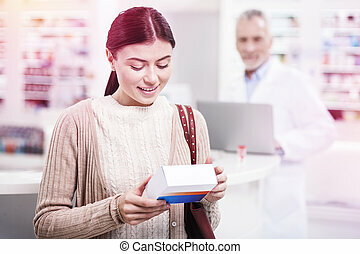 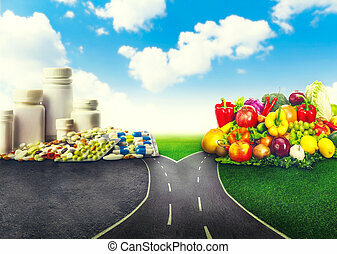 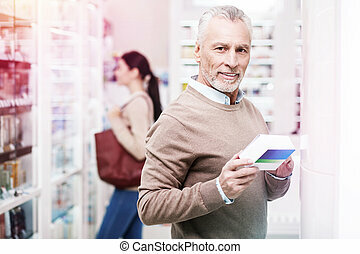 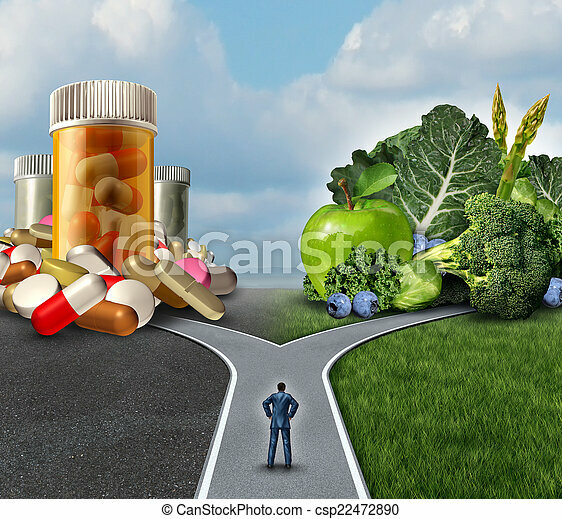 Medication decision concept and natural remedy nutrition choices dilemma between healthy fresh fruit and vegetables or pharmaceutical pills and prescription drugs with a man on a crossroad trying to decide the best path to health. 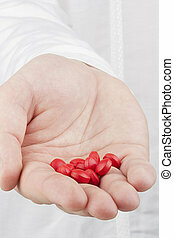 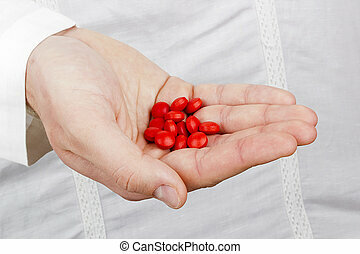 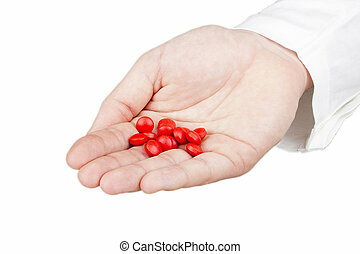 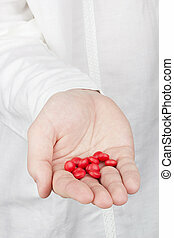 Close-up photograph of a hand holding red tablets. 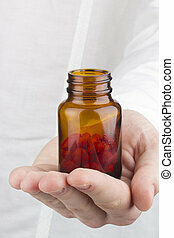 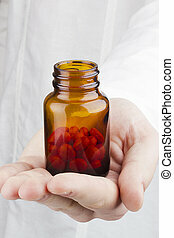 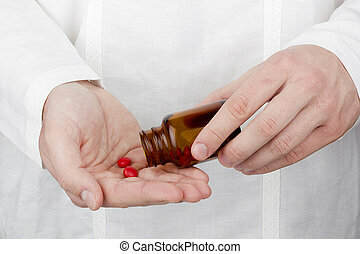 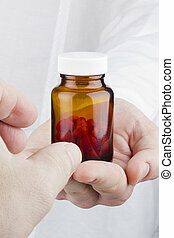 Close-up photograph of a hand pouring red tablets out of a transparent bottle into another hand. 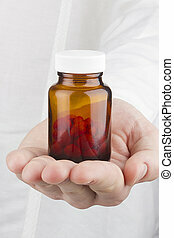 Close-up photograph of a hand holding a transparent glass container with red tablets.